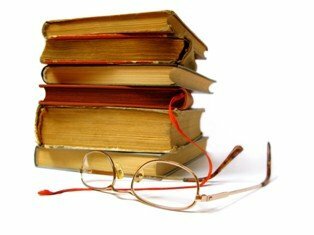 DissertationAdvisors.com, a web-based network of professional dissertation consultants, has launched an industry-specific scholarly blog on its website. Dissertation Advisors is an online network of professional thesis and dissertation writing consultants and editors. The network provides consultation and advisory services to master's and doctoral students. To enhance its online presence, the network has introduced a blogging platform on its website where students and faculty can post articles on relevant academic writing topics. Dissertation Advisors has launched an academic writing blog on its website. Like all the other sections of the network's website, the blog is presented in a simple design style. This presentation style is likely to appeal to the targeted audience: master's and doctoral students and academic writing professionals. Only a few articles have been posted on the blog so far, which is expected because it was just launched. Some of the articles are categorized as "Education Topics" and then subcategorized according to subject, such as "Mathematics" or "English." The most striking thing about this blog is the quality of the posted content, rather than the quantity. DissertationAdvisors.com uses this blog to enhance its online appeal and presence. All of the articles are original and correct in grammar and content, and they contain in-depth and evergreen information. The articles are appropriately written in an academic style to ensure message clarity and adherence to scholarly writing standards. Each article contains a hyperlink of the author's name, which redirects to other posts by the same author. Finally, the blog is interactive. Although it's still under development, the blog already has a "Like" button under each article — more interactive features are likely to follow. Dissertation Advisors assists students throughout the dissertation writing process, until graduation — that is, from the conception of a thesis/dissertation idea/topic; to the approval of the proposal; and then the creation, correction, completion — until the final PowerPoint presentation at the thesis or dissertation defense and acceptance by the graduate school. The network's consultants offer various specialized services including thesis and dissertation editing services, dissertation writing consultations, dissertation statistics consultation services, APA formatting, and defense preparation. Interested students can request a free quote for their thesis or dissertation projects by filling in the project details on a "Submission Form" on the network's website. The website features numerous reviews from past clients who used this service to expedite graduation.